What self-respecting website doesn't have a place where you can purchase swag? Well, doubtless there must be one. This, however, is not that blessed place. No, this page is a virtual (as well as Virtual) Temple of Mammon. 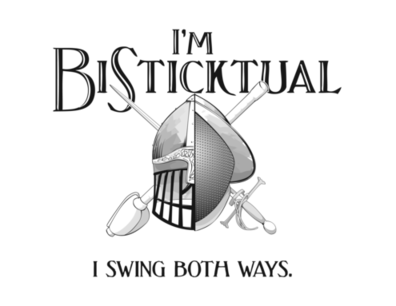 Most things are available at AspiringLuddite on Zazzle including several items with the haiku motto. "Lindisfarne - the Viking Wal Mart" t-shirt. The script is the same Insular minuscule used in the main body text of the Lindisfarne gospels, lovingly hand-drawn and then scanned. The colors are taken straight from the same manuscript, although the design is completely modern. The letter "K" also comes from a more modern script. Go here to buy the shirt, the perfect gift for the viking or calligrapher in your life. Smashy the Hammer says what you want to about that annoying couple at the next table or that guy in the theatre or that woman on the street. Remember that Smashy and the Aspiring Luddite hate cell phones. Hand written poetry from my Twitter feed.